Why ROM is a RAM ? As a computer student , if we are asked about the opposite term for RAM , the obvious answer is ROM. So here we are just sharing some thoughts on why your ROM is also a RAM ! RAM or random access memory refers to the method by which the data is accessed from your memory . 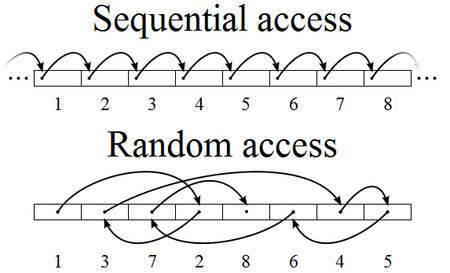 Random Access means data can be accessed from your memory in a random manner , ie in any order irrespective of the order in which you are storing the data . The opposite term for RAM is Sequential access memory or SAM . ie data can be accessed from that kind of media in a sequential l manner only . Tape drives are classic examples of SAM. So back to our point , all the electronic memories you are using in computers can access data randomly so we can call them RAM. primarily There are two types of RAM available , the Read Write -RAM and Read Only -RAM , ie RW-RAM and RO-RAM. 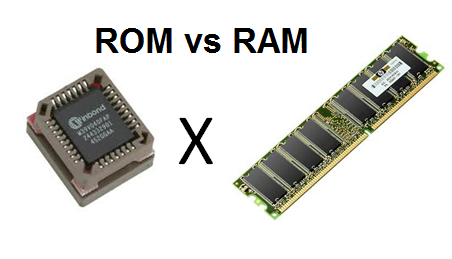 According to the normal usable of the term , we prefer to call the RW-RAM as just RAMs and RO-RAMs as ROMs. Had this discussion in Computer Architecture class which led me here!! Is hard disk a randomly accessed memory ? Therefore here also I can access the data data randomly but still its not Random Access memory …Why ?